Thank you for your interest in North County Regional Fire Authority's Fire Academy. To place yourself on the next Fire Academy Roster, click on the "Register Here" link below and complete an online registration form. All applicants must be 18 years of age by time of academy start. Classes will be held Tuesday & Thursday nights from 5pm - 10pm and Saturdays from 8am - Completion. It is required that all applicants for Fire Academy must, prior to the beginning of the academy, provide valid & current proof of physical agility testing with National Testing Network. 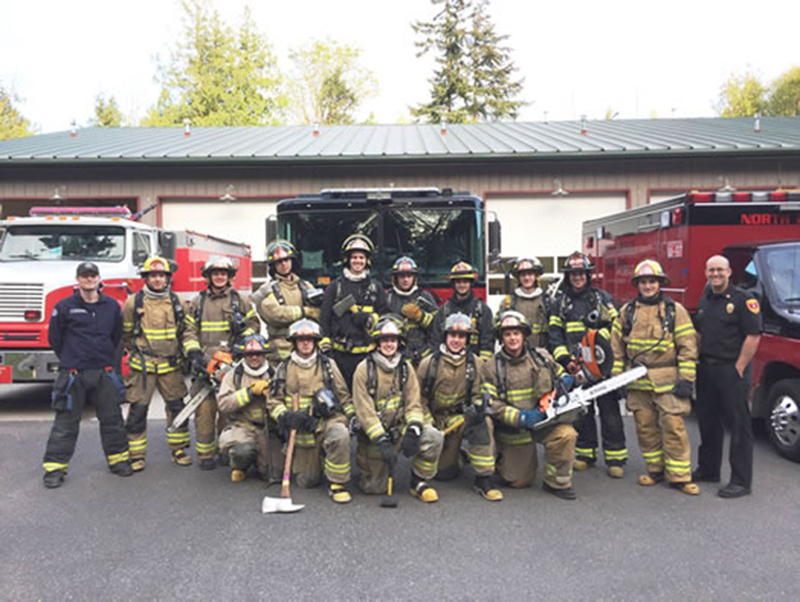 Self-Sponsored Recruits: — You will need to acquire rental turnout gear prior to the start of the academy from a rental company. An SCBA and fit tested mask will be supplied by NCRFA. Department Sponsored Recruits:— Your sponsoring department will provide all of your turnout gear, SCBA, fit tested mask, and spare bottle. *After graduation, recruits will have the opportunity to enroll in the EMT Academy that North County Regional Fire Authority offers. This portion is $1,000.